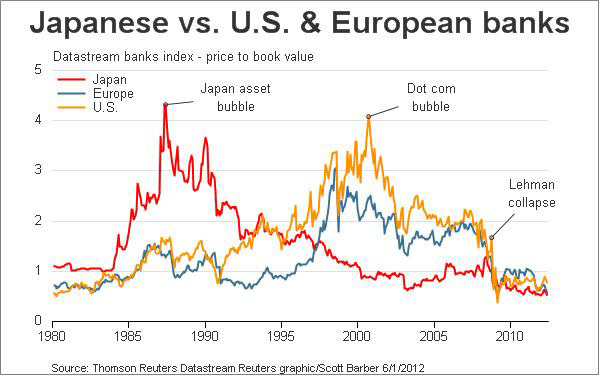 You can see the share price of the banks (average) for Japan, U.S. and the EU between 1980 and 2012 in this graph. Japan saw the bank shares rise dramatically during the share and housing bubble of the 1980's. Japan's bank shares didn't enter in the Dot com bubble as for the European and especially the banks in the United States. As you might have expected, bank share prices are currently a lot lower than before the crisis.